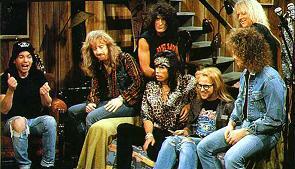 Aerosmith is an American rock band, formed in 1970 in Boston, Massachusetts. They have released many popular songs, including "Walk This Way" and "I Don't Want to Miss a Thing". They have their own Guitar Hero video game called Guitar Hero: Aerosmith. Their lead singer is Steven Tyler. 2012 - Music from Another Dimension! Aerosmith Facts for Kids. Kiddle Encyclopedia.